It's enough to get you drooling in anticipation. The Tamworth Food Gusto Festival will be back on the weekend of Saturday 10 and Sunday 11 September to serve up a mouth-watering array of culinary delights to tempt any taste buds. 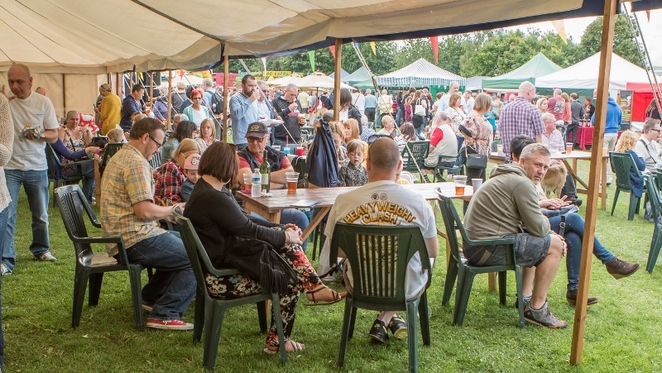 Following on from the success of the inaugural event in 2015, the two-day Food Gusto Festival returns to Tamworth Castle Grounds with a huge array of food and drink stalls on offer. Organised by Food Gusto in association with Destination Tamworth, and supported by Tamworth Borough Council, the follow-up annual food festival will bring dozens of the region's artisan food and drink producers to the event, offering a range of unique delicacies for people to sample and buy. Local producers will be on hand to sell everything from handmade cheese, ice-cream, pickles, pates and organic meat to chocolate, jam and handmade crisps. And, to make the event even more attractive, these can be washed down with locally-brewed beer, English wines from vines grown just a few miles away, Prosecco or barista coffees. 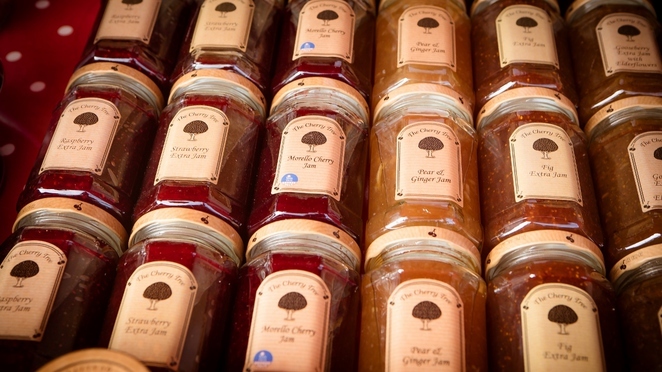 Exhibitors will range from small artisan producers working from their own farms or kitchens to nationally-recognised businesses, but all with a focus on high quality food and drink. International award-winning chef Simon Smith from Lichfield will be back cooking up a storm in a series of live demonstrations and this year will be appearing throughout both days of the festival instead of just one. 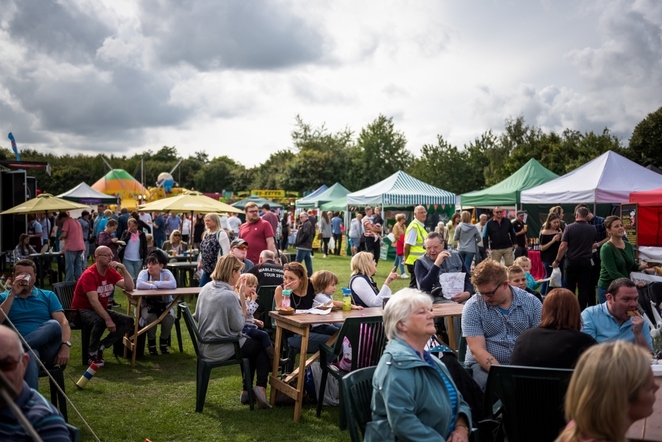 There will also be much more on offer as well as the fine food, including children's rides, face painting and live music from local bands including The Jays, Joel Wildgoose and Friends, and Sincerely Yours. In addition, a special artisan tent will bring together the region's most creative individuals demonstrating their skills in a range of disciplines such as handmade glass products, pottery, jewellery, and leather goods. Last year's first Tamworth Food Gusto Festival was attended by almost 9,000 people across the two days with many exhibitors selling out of the delicacies they had on offer. 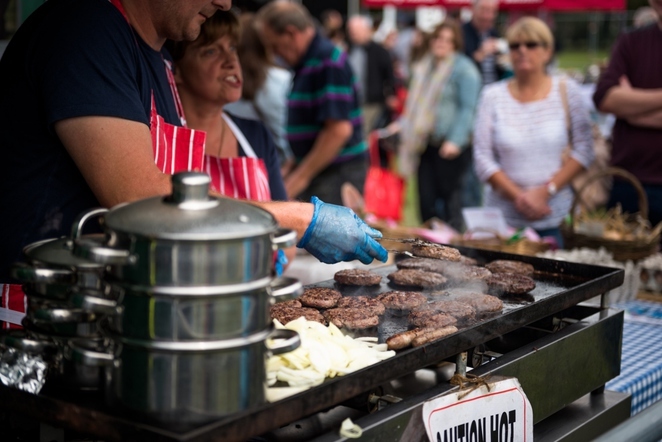 Councillor Joy Goodall, Tamworth Borough Council's Cabinet member for Environment and Culture, said: "The first Tamworth Food Gusto Festival was a big hit last year and it's great to see other organisations working hard to bring successful events to the town. Events like this help bring more people to the area and boost the town centre economy and we are happy to support them where we can." Any local food and drink producers which would like to have a stall at the festival can contact Food Gusto on 01530 411337, or email jaime@foodgusto.com to check availability.